The airline says it has placed the new follow-on order to boost its expansion. 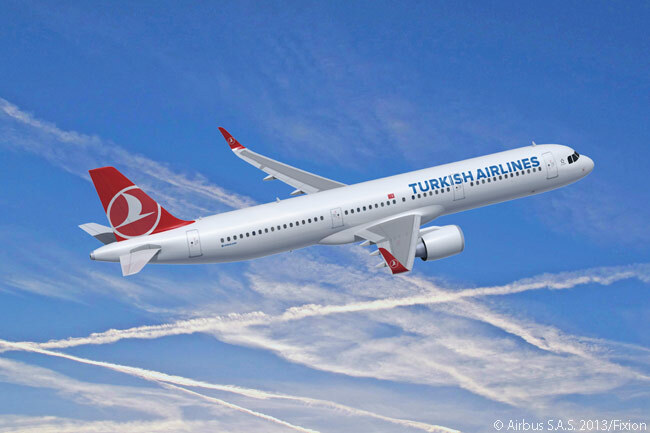 “As one of the world’s fastest growing airlines, our ambitious growth strategy needs to be fully supported by only the most efficient, reliable and profitable aircraft,” says Dr. Temel Kotil, CEO of Turkish Airlines. “This order for 20 more A321neo will help us achieve our expansion plans in a profitable and sustainable manner,” adds Kotil. The manufacturer claims that to date the A320neo family has captured a 60 per cent share of the market for new-generation 150-230-seat single-aisle aircraft. According to www.AirlinesAndDestinations.com calculations, Airbus has now won firm orders for a total of 12,380 A320-family jets of two generations, its ‘ceo’ (current engine option) generation and its ‘neo’ (new engine option) generation.